Groups and teams are created for many different reasons and purposes. Successful teams can complete more tasks efficiently, and produce more high-quality results than a person working independently. However, teams can also be ineffective if they’re not defined properly. While creating a high-performing team can challenging, it can also be rewarding when done correctly. In this course, you will learn about the role of teams within organizations and what makes them successful. Students will apply what they are learning to real-world problems. There is ample opportunity to apply key concepts and practice new skills within this course. Understand the role of teams in organizations. Define types of groups and teams. Recognize differences between groups and teams. Earn rewards for team effort. David A. Thomas is an experienced university teacher, management consultant, and business executive. 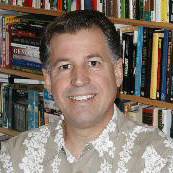 David holds a Ph.D. in Educational Psychology as well as a Master of Business Administration Degree, both from the University of Southern California. His primary areas of expertise center on key factors that affect human performance, including adult learning and motivational theories, project management and team leadership, decision-making, and problem solving.